Just stumbled on the TSTV payment options and having gone through it, I cannot but tell those pathologically and extremely going too excited about the new Pay-TV and who think they won't have anything called Validity Period for their subcriptions to have a second thought. 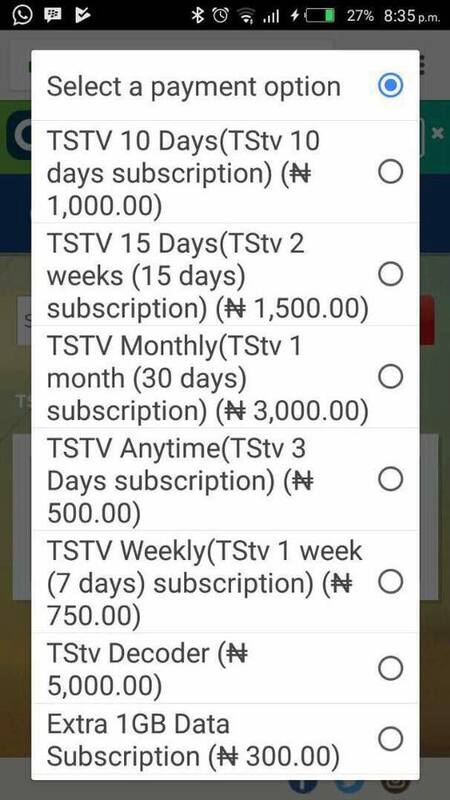 I make bold to say that the different payment options available for you on TSTV (as shown below) will convince you that there is no major difference between the DSTV/GoTV/StarTime model and the new TSTV. Apparently, what TSTV has simply done is to break down the monthly payment for you into a weekly, Bi-weekly and also regular monthly subscriptions that you already have on your other payTVs. Do your analysis and calculation. Nothing like Pay as You Watch, as generally being equated with the Globacom Per Second Billing Revolution. 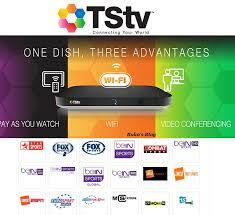 If fact, the TSTV model can only be equated with the telecoms revolution witnessed at a point when we started having smaller recharge vouchers by the networks. Before long, what we are likely going to see again is that, other existing pay TV will begin Weekly , Monthly and and even Daily Suabcriptions.